Most of the time when people who are already well known as celebrities try to star in a reality series or talk show, it does not work out. I’m not really sure why since these are people who already have a following, but it might be because the public is just used to seeing celebs doing what originally made them famous. 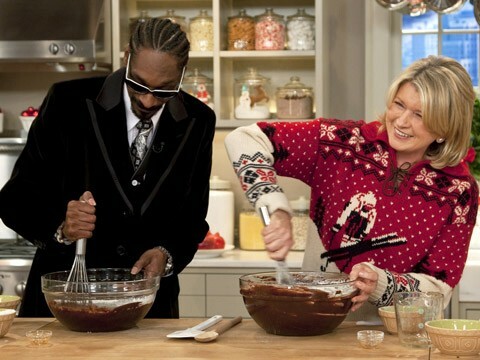 Nevertheless, I’m pretty optimistic about Martha Stewart and Snoop Dogg coming together for their own reality show. Below you will find pics from Tamra Judge, Katie Maloney, Heather Dubrow, Craig Conover, Kenya Moore, Elena Gant, Brandi Redmond, and more. All is well with the world today and everybody’s happy. An indicator of the world’s righteousness, is that Lindsay Lohan is once again a red-head, which I am taking as a sign that her boozing and breaking the law days are behind her. Now, if only Bethenny Frankel would get the memo to put on a happy face! Bethenny has become as known for her woe is me attitude, as she has for her svelte physique. In the latest news, the skinnygirl is, again, talking about what’s wrong with her life and now she’s complaining about being rich! Good lord! That’s right, after earning an estimated $120 M on her bottled cocktails, Bethenny now says, no one is nice to her because she can pay her bills without hawking handbags. Right. Interesting Bethenny says these things, because I certainly think fame has changed her. She used to be likeable and funny, and now she is, well… just keep reading! “People look at you differently. People make up stories about you,” Bethenny laments. 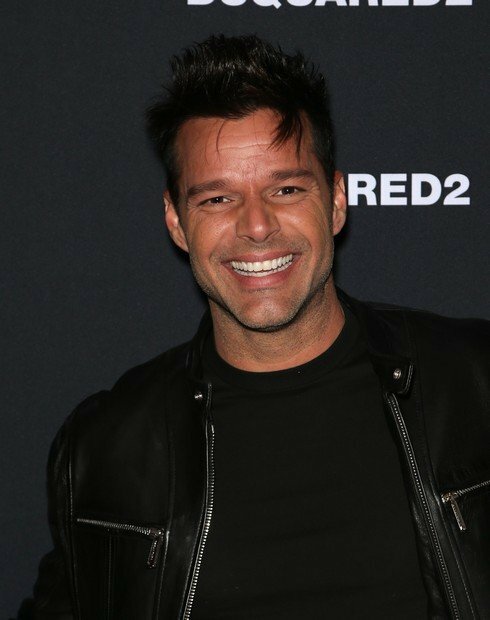 “People speculate about what you’ve had and what you’ve done and really try and tear you down and I had no idea that would be the case. And I think it’s really despicable.” I guess that’s the cost of putting your life on a reality TV show. Everybody knows your business. Bethenny concedes that she has given up a lot to make it in business, particularly that she wants a second child and may not be able to conceive because of her age. Bethenny suffered a miscarriage last month. “I’m faced with the fact that I’m 41 and I may not be able to have more children and that feels like a sacrifice.” Bethenny and husband Jason Hoppy have revealed they are open to adoption. Despite the awful treatment she receives as a poor skinny rich girl, Bethenny still feels life is pretty good. Well, kinda. “Generally I am happy,” she says. “With a side of unhappy.” That’s our Bethenny! Moving on, Martha Stewart, one of my favorite people ever, was on Watch What Happens Live Wednesday night and Andy Cohen could barely contain his glee. It was a great show! We saw some vintage Martha clips, she taught us how to fold a t-shirt, and she made a lot of funnies. Oh, and she did a shot! Of course, since this is Bravo and she is Martha; Bethenny’s appearance on her first foray into reality television came up! Yep, Bethenny was once the second runner-up on Martha Stewart’s The Apprentice spin-off. Well, Martha is the goddess of all things domestic – who wouldn’t say hello!? I bet Martha’s not complaining about how people treat her now that she’s loaded. See a clip of Martha on WWHL discussing Bethenny below! DOES BETHENNY NEED TO GET OVER HERSELF? DOES BETHENNY HAVE A POINT ABOUT HOW SHE IS TREATED NOW THAT SHE IS RICH? DO YOU FEEL SORRY FOR HER? DID MARTHA MAKE A MISTAKE NOT AWARDING BETH THE WIN? CLICK THE CONTINUE READING BUTTON FOR MARTHA’S APPEARANCE ON WWHL! In one her most revealing/honest interviews to date, Bethenny Frankel discusses a number of topics including her run on Martha Stewart’s The Apprentice (she was the runner up), but most notable are Bethenny’s comments against the show that made her a star. TV Guide Magazine: Flashback to 2005. You were a culinary school grad with a made-for-TV personality — did you think The Apprentice would be your big break? Frankel: Meeting her was a disappointment. I thought she would be as warm and fuzzy as her brand — like she’d want to bake you cupcakes. Sometimes when you meet your idol, it doesn’t live up to your expectations. TV Guide Magazine: Then along came Housewives. Frankel: For two months I turned it down. But I just kept thinking about it — with my business ideas, I had a tree with fruit ripe for the picking. Finally I said yes. TV Guide Magazine: Is it a relief to be through with Housewives? Frankel: Yes. Women should not be rewarded for bad behavior. The show evolved — or devolved — into something that is not even remotely who I am. The last season was excruciating. TV Guide Magazine: You and former BFF Jill had a major on-air falling out. Have you reconciled? Frankel: She never contacted me after the reunion show. She’d been contacting me for days upon days up until then, because I think she was nervous about how it would come off. I do not think her apology was genuine. TV Guide Magazine: How is it having Bryn in the mix? Frankel: She’s now 9, 10 months old and she can see the boom [microphone] — and Jason and I have started to talk about how long we would do this. I don’t know that I’d want to go on forever with her. TV Guide Magazine: This season, we’ll see you struggle with your in-laws over their complaints that you don’t spend enough time with them…. Frankel: It strikes a chord — you’re not mad at me, you’re not mad at them, they’re nice people. But watching it, you’ll see the passive-aggressive comments that made me feel crazy. In my life, in many cases I look like the bad guy. But sometimes it’s like, maybe she’s not entirely insane. In a separate interview with USA today, Bethenny expresses some regret in her decision to do ABC’s Skating With The Stars, which ended up being a ratings disaster. And finally, some good news for Bethenny as the ratings of her show Bethenny Ever After climbed 10% from last week, with 1.66 million viewers tuning in on Monday night. However, the ratings are still a bit down from last season’s average of 1.9 million viewers. TELL US – THOUGHTS ON BETHENNY’S LATEST COMMENTS?